For decades people have been wearing themed/scary/customized costumes on Halloween. This is just the tradition, and without it Halloween is incomplete! The group of people who eagerly follow all these traditions are generally kids, teens and up to some point adults too. 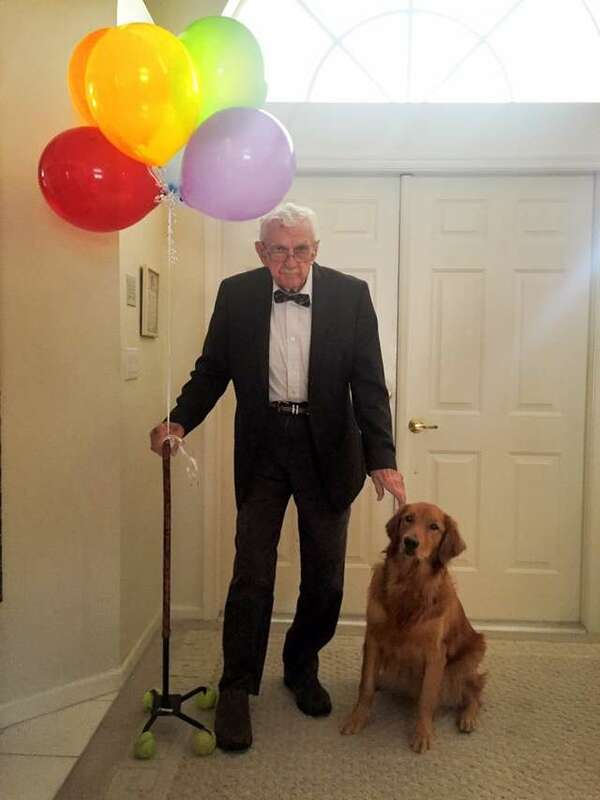 However, today we are sharing with you the story of an octogenarian and how he prepared himself for Halloween with his best friend! 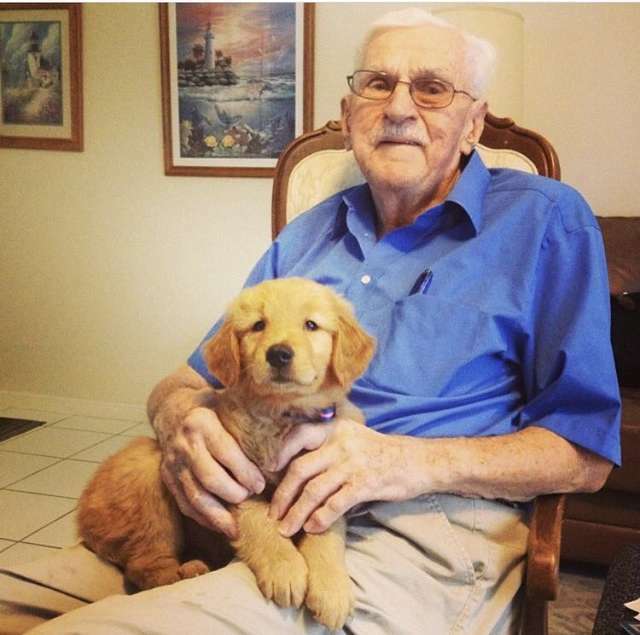 Meet Henry, the 87-year old grandpa with his cute little doggy, Peyton. Henry loves his little golden retriever so much that they do almost everything together! From spending most of the time together to sleeping in the same room, the bond between the two is very strong! So, it’s just natural Henry wanted to enjoy Halloween with Peyton as well. 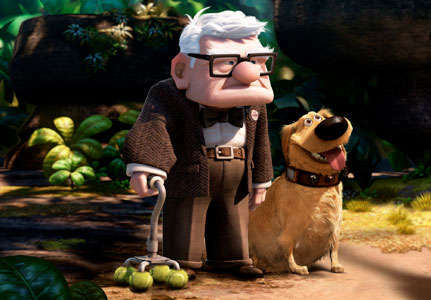 The protagonist of the film was an old man and his dog. Much like Henry and Peyton! Now, this is something that clicked Henry when he was deciding for the Costumes. 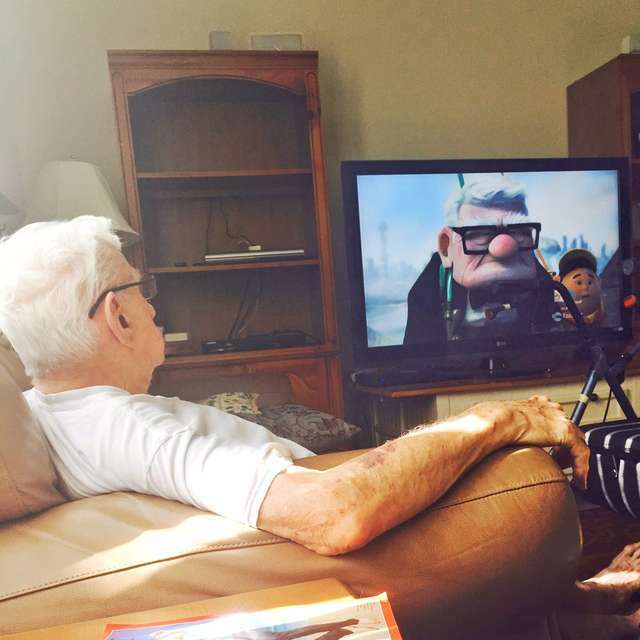 “We always said that my grandpa looks like [the character] Mr Fredricksen,” Poulton said. They actually do look alike. And not only Henry but also the dog ‘Dug’ resembles Peyton too. Since Peyton could be a part of the theme, Henry decided to go with this. And Voilà! Check it out! What do you guys think of Henry and Peyton? Don’t they look perfect? Share your views with us in the comments below!